Home Unlabelled Homeless man received a house and a job after returning the lost wallet to the owner! Inspiring! Homeless man received a house and a job after returning the lost wallet to the owner! Inspiring! Most people believe that if you do something good for others, the Lord will give back what you've done and will even triple it! Now, there's this story of a homeless man who was unbelievably rewarded from the honesty that he showed in the times that people didn't expect it. 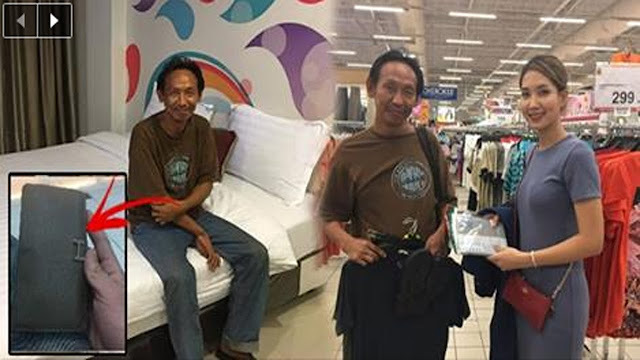 This homeless man from Thailand has just returned a Hermes wallet containing THB 20,000 or $578 and a credit card after the person who owns it, didn't notice that the wallet fell. Instead of taking the wallet for himself, this man chose to go to a local police and returned the wallet with the cash in it. The owner Niity Pongkriangyos only realized that it was lost when it had already been found. She was touche by what this man did so she ended up giving this man a job at a factory and a place to live in.